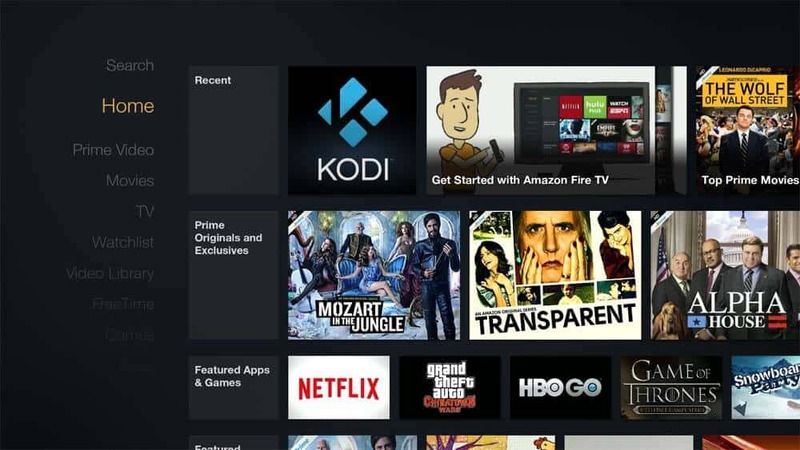 Amazon released its Fire TV, a tiny set-top box which brings media streaming services such as Netflix or Amazon Prime Video to your living room. While Amazon offers its own app store, you’re also able to sideload any Android app APK you want. This leads to an endless amount of new apps for the Fire TV, including Kodi (formerly known as XBMC). For only 100 bucks for a Fire TV or as little as 39 USD for a Fire TV Stick, you’re able to bring a powerful media system to your living room which is capable of streaming 1080p videos using Kodi / XBMC. This guide will explain you how to setup your Fire TV or Fire TV Stick to become a great media system. Since the initial launch of this post in April 2015, we’ve adapted the content to Fire TV and Kodi updates. The latest version of this guide includes an overview of the new Kodi 15.0 Isengard features and how to update from Kodi 14.2 without losing settings. That’s it. Enjoy the latest version of Kodi! So how do you actually add media to your library? By default, every root directory should have anAdd Sources option. Additionally, opening the context media (menu button) in the root directory will offer the option to add sources from there. Just follow the menu and add your media source. Again, I can only emphasis to use NFS over SMB and avoid UPnP. Next PostNext What is Kodi? Is Kodi Legal?